Often, I think we are caught up in the "it should be this way" mentality where we lose our minds when we find out there is ketchup in our Pad Thai. Honestly... Shouldn't we be more concerned if something tastes good? As much as the history of a food item and who prepares it can be important factors, it should come down to: is it something you would want to eat again? 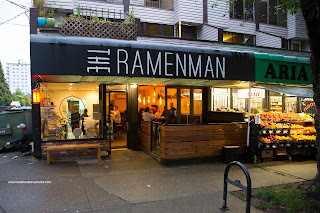 This is exactly the scenario with The Ramenman just off Robson (ramen central) on Bidwell. They choose to be different and their creations are not necessarily something you would expect. After many failed missions to eat there, I finally made it out due to an invite. Sean joined me to tackle the menu including the Regular Chicken Broth with chicken and pork. Before I got to the chicken broth, the sous-vide meat was a game-changer. Although both appeared to be undercooked, this was a result of the sous-vide process and yes, they were fully cooked. The pork was succulent and tender while the chicken was buttery. Definitely different, but welcomed in my opinion. 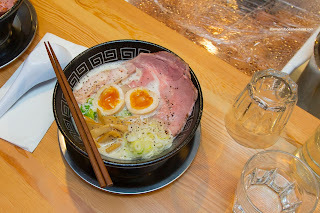 As for the broth, it was silky, rich and full-bodied. 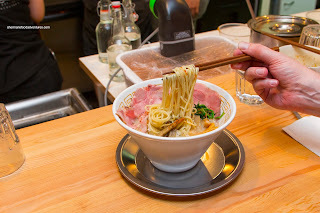 House-made, the noodles were chewy and nicely firm. Next, we tried the Vegetarian Miso Broth that made me realize I can do without meat. Nah, we added some pork anyways. Consisting of mushroom, miso and smoked kombu, the broth was "meaty" with depth and thickness. 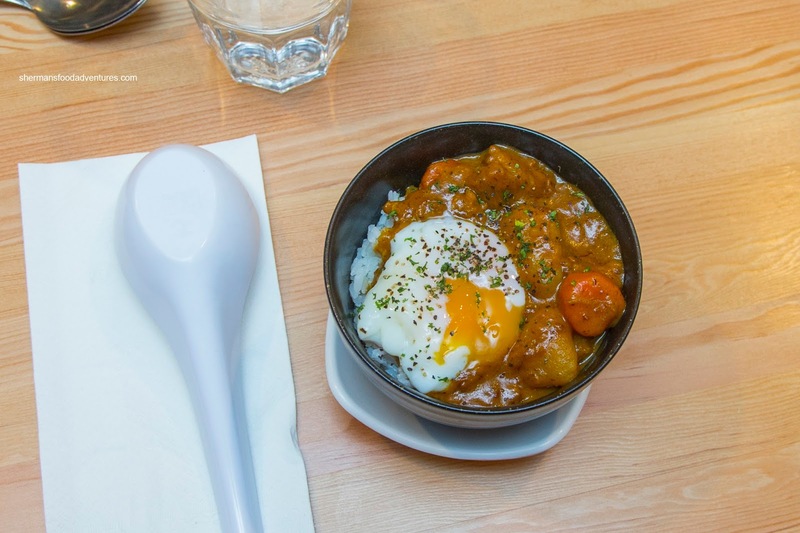 There was a rich saltiness combined with the Earthiness of the mushroom as well as a subtle smokiness. Next up was the interesting and unique Chicken Stew that was thick like sesame paste. It was unmistakably poultry tasting with a background sweetness. Personally, the taste was great, but the texture was too thick and a bit gritty for me. 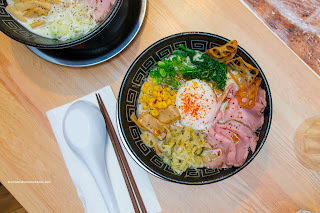 Again, noodles were on point as well as the bouncy tender pieces of sous-vide chicken. Our last bowl was the Chicken & Clam Broth which featured fresh in-the-shell clams and white wine. 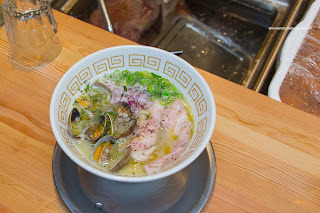 Hence, the broth was somewhat similar to vongole pasta, but just with soup. Although the wine had been properly cooked down, there was an unmistakable crisp white wine flavour. I could taste some brininess from the clams, but it would've been even better with more clam juice. Apparently there was truffle oil as well, but I hardly noticed it (which was a good thing). The most surprising dish of all was the Japanese Curry Beef & Chicken with 63 degree egg. This was rich, lightly sweet and definitely savoury with a background spice. The meats were super tender (almost melt-in-my-mouth soft) with some meatiness. Loved the addition of the egg as it added a silkiness. Even the rice was on point being chewy and dry enough to take on the sauce. This was only a small portion, but still hearty enough. Personally, I would order the large and call it a meal. We ended things off with the Chicken Karaage and Scallop Gyoza. 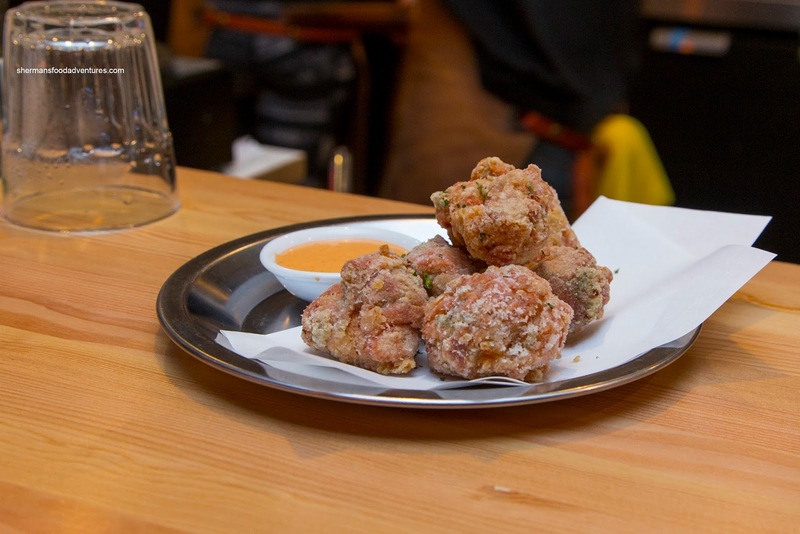 Lightly battered and crisp, the tender nuggets of chicken were juicy and succulent. They were well-seasoned with purposeful saltiness and some spice. The accompanying chili mayo added a creamy heat. 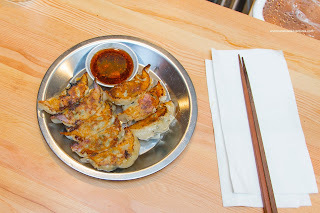 Beautifully browned and crispy on the bottom, the gyoza featured a thin dumpling skin that was tender while not too soft. 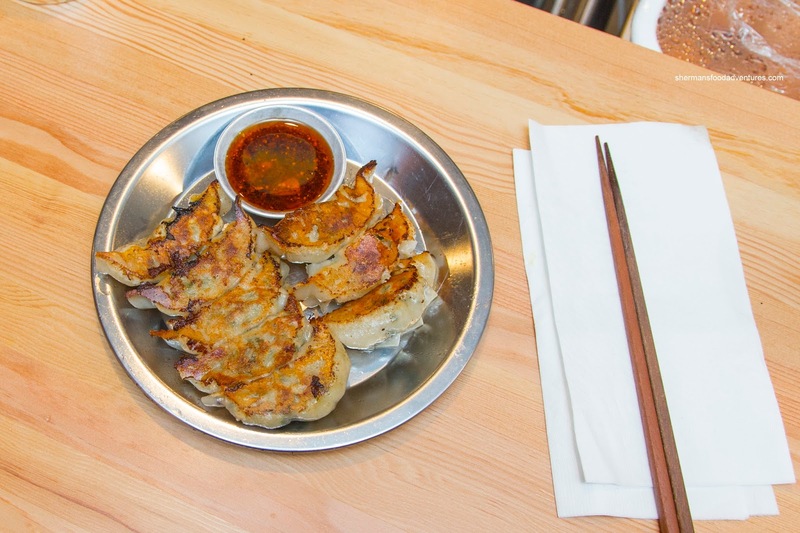 Inside, the filling was meaty and moist with little pops of buttery scallop. The side of garlic chili oil was nutty and spicy. Overall, I really enjoyed the different, yet still familiar food at The Ramenman. Sure, it might be a bit out there for some, but they do stand out in a sea of ramen in Downtown Vancouver.